If you are studying for a master’s of social work or already work in the field, you know how important the right tools can be. One of the best new tools the age of technology has given us is software that can be programmed to suit just about any profession, and social work is no exception. And with clients, notes, outcomes, and loads of responsibilities on the line, having the right tools is very important. To help give you an idea of what’s out there, we have collected 25 essential software applications for social workers below. They include everything from widely used social work software to some specialty ones and even a few free options anyone looking to get more stuff done can use. These software applications are especially for social workers and are listed in alphabetical order so you can learn more about which is right for you. This is a multi-user, interactive database management system designed to meet the needs of diverse organizations whose missions range from direct provision of healthcare to social services case management to monitoring providers of care. There is case study help for those with AIDS, substance abuse, homeless, and others. ClientTrack software advances the missions of social workers by enhancing their ability to gather, use, and report client information. There are tools for intakes, assessments, determining eligibility, case notes, tracking client progress, measuring outcomes, and more. Enter your information into the contact box to learn more. The goal of this software is to be able to have quality data at your disposal and really understand what’s working and what’s not. It is a web based, non-profit software for human services client and information management. You can take a tour and see a demo right on the site. Click here to learn more about the software for today’s social work practice. The Helper suite consists of practice management software designed for the workflow of a social worker and includes essential business tools that make everyday operations run smoother and more efficiently. Stop by to download a trial version. This is a vital element for virtually every non-profit organization, NGO, and government agency. The software helps give a clear picture to help see what’s working, adjust what isn’t, and easily report successes to key stakeholders. Check out the video demo with more. Visit here to learn more about another case management software. It is a client information and practice management system designed for organizations needing a human services, case management, disability services, social work, mental and behavioral health database software solution. There is even a special section where you can request an online demo. Client Service Tracker is a Microsoft Access database for PCs that also uses Microsoft Excel. It allows small social service organizations to keep the following information on each client. Check out the free demo with more. Haven’t found what you’re looking for in the above? Then check out this massive list from the University of Texas at Arlington. They have gathered a collection of software, shareware, and freeware with more tools for social workers. These software applications have a specific use in social work. 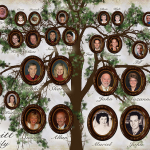 If you need to establish a client’s genealogy, check out this software. Recommended by the Schizophrenia Research Center, it helps workers create trees that can help track mental health issues. You can even try it for free. Click here to learn more about this child welfare management software. It works with contracts, complaints, incidents, notes, and much more. Simply fill out an application request to learn more about it. Visit this site to learn more about web based patient registry software. As social workers know, patient registry studies can be quite expensive, but the costs can be cut with the help of this software. Social workers in the integrated health and human services management area will want to look here. It has tools for adults and aging services, adult protective services, intellectual disabilities, and county social services. Simply click on the product you want to learn more about. Tracker is designed to address operational needs, help control costs, and collect data for required reporting and management purposes. It is especially for public and private agencies that work with criminal and juvenile offenders. Use the contact option to learn more. Keep track of all the grants you are applying for here. They have tips for funding, education, types of grants, and more. Use their related searches to get more on grants. Social workers in EMR and EHR should check out this software. It is a developer of case clinical and financial management software. Check out the Software Overview Webinar to see which tool is right for you. Stop here to get several options in social work with teens. They have custom solutions for social workers in youth programs, high school, and more. You can even check out the collaborations they’ve done with major cities. Check out these free software applications that can help everyone from social workers and beyond. Need to keep all your notes on cases in one spot? 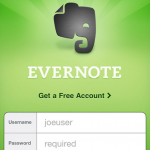 Then try getting Evernote to do all the work. Simply download it to begin making and organizing notes on your computer. There are tons of paid client management software options up there, but don’t buy any until you check out this free contact management software application. Plaxo keeps track of all your contacts online and even updates them automatically when they are updated on the web. Whether it’s setting client meetings or making a grocery list, millions have stopped here to make lists and manage tasks the 2.0 way. Use it with your computer, smart phone, email, and more. Just like everyone else, social workers need to keep logs of any expenses that occur on the job. Instead of a stack of messy receipts, stop by to check this out. It allows you to expense and track everything from time to mileage. Whether you have a cluttered computer or just a bunch of important data you can’t lose, click here to take care of it all. Dropbox lets you store files on their site to eliminate the need to store on your own computer or have a copy just in case the worst happens. Simply download it to begin. Get loads to do and little time to type? 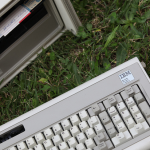 Use this free software application to turn your mouse and keyboard into shortcut machines. You can automate just about any command using it. Need to make a slideshow presentation without spending a ton on PowerPoint? Then check out this free tool that can help you make amazing presentations online. Simply sign up to begin. Need to make a document without spending a ton on Word? Then get the free alternative here. Millions have already signed up to not only create, but share documents with others. Are you a social worker who needs the benefits of mind mapping? Then stop here to check out how to brainstorm the new age way. There are also apps for your mobile device. And the above 25 essential software applications for social workers are just some of the tools social workers can utilize and adapt in their work. Check out the web for answers to other questions such as program rankings in social work and average salary.